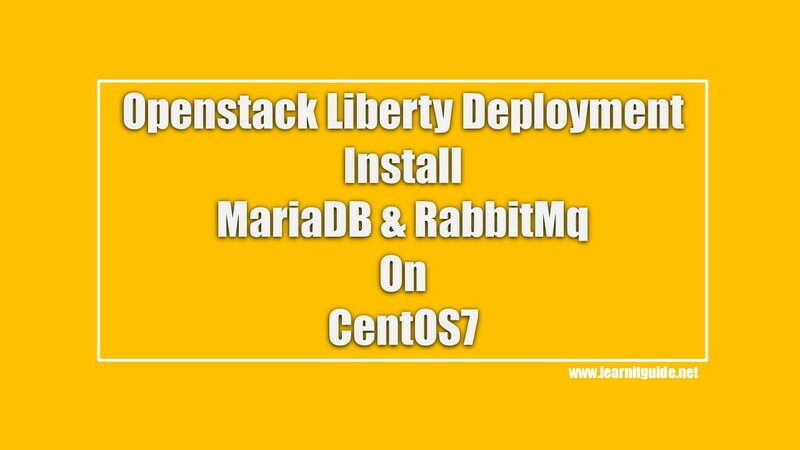 In the previous post, we have seen the Openstack Liberty Deployment on single node using packstack utility. As discussed earlier, Openstack consists of many components which are need to be installed to have cloud environment. Refer the link to know more about Openstack Components. 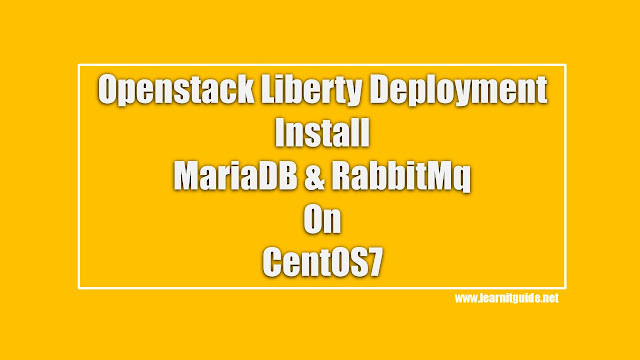 In this session, we will deploy Two node or multi node Openstack Liberty Configuration. Note : If the upgrade process includes a new kernel, reboot the node to activate it. Most of the Openstack services are using SQL database to store information's. Append the user=mysql and bind-address=100.73.168.190 for node1 and change the bind-address in the node 2 with the node 2 ip address. (change this ip address on both node as per your management ip of both server) in the configuration file /etc/my.cnf. Replace the Address with your server IP Address. Start and enable Mariadb Service to start when the system boots. Install and Configure RabbitMQ Message service on node1. OpenStack uses a message queue to coordinate operations and status information among services. OpenStack supports several message queue services including RabbitMQ, Qpid, and ZeroMQ. Start and enable RabbitMQ Service to start when the system boots. Replace "redhat" with your password. Allow read, write and Permit access to the user "openstack"